We G.M Overseas manufacture supply high quality glass bottles, Offers High Quality Frosting facility on Glass Bottles. We have advanced equipment and strong technology. 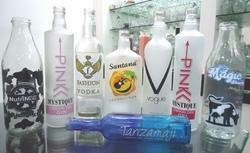 We are offering the Printing Facility on Glass Bottles which are available for all shapes, sizes for your Products. This Facility is Widely Used for Perfumes, Nail Polish, Milk, Juices, Spring Water, Liquor Glass Bottles other Decoration Items. We G.M Overseas manufacture supply high quality glass bottles, Offers High Quality Frosting facility on Glass Bottles. We have advanced equipment and strong technology. 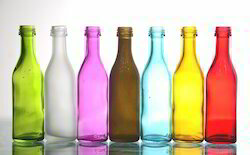 We are offering the Color Coating (Opaque) Facility on Glass Bottles which are available for all shapes, sizes for your Products. This Facility is Widely Used for Perfumes, Nail Polish, Juices, Spring Water, Liquor Glass Bottles other Decoration Items. 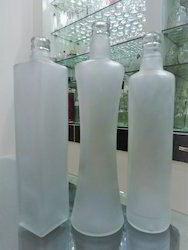 We are offering a wide range of Frosted Empty Glass Bottles to our clients. Looking for Printing - Frosting - Color Coating ? LED Glow Cubes (Multiple Colors) Pack of 6Pcs.